Black women really do work harder for less, according to a new report. 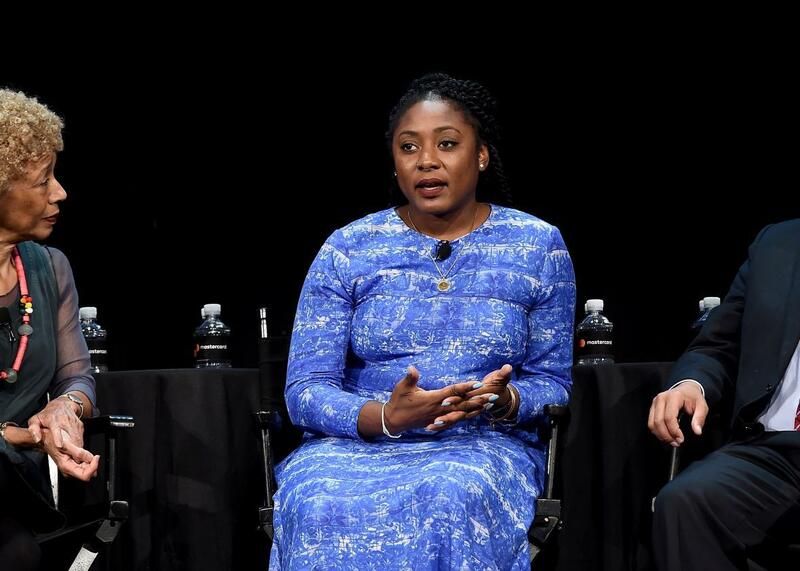 Black Lives Matter co-founder Alicia Garza in October in New York City. “Hard work isn’t paying off” for black women in America, she said Wednesday. It’s a familiar adage that black Americans have to work twice as hard to get half as far as their white counterparts—and that black women, oppressed by the intersecting forces of sexism and racism, have to struggle even more. Now, a sweeping new report from the nonprofit Institute for Women’s Policy Research, funded by the National Domestic Workers Alliance, provides the data to back this up. Released Wednesday, the report shows black women working more and getting less in return across all areas of American life. Black women voted at higher rates than any other group in 2008 and 2012 (and in 2014, more than any other group except white men and women)—but they remain drastically underrepresented in both state and national politics. The share of black women with a college degree has increased by almost 24 percent since the early 2000s, but they graduated with more debt and worse prospects than white students. And black women participate in the workforce at higher rates than other women, yet they’re among the most likely to live in poverty, second only to indigenous women. About 28 percent of employed black women work in the service sector, caring for children, the elderly, and people with disabilities, according to the report, which does not break out data about black immigrant women or transgender women. With stagnant wages and stingy protections, these jobs ministering to other people’s families make it hard for service workers to look after their own loved ones. More than a third of all working black women have no access to paid sick days. Many struggle to afford childcare: While the U.S. Department of Health and Human Services defines 10 percent of a family’s income as the appropriate amount to spend on childcare, full-time infant care eats up at least 20 percent of the median salary paid to a black woman, and nearly 50 percent in expensive areas such as the District of Columbia. In 2015, the median hourly wage for a childcare worker was calculated at $10.31 an hour; several years before, a national survey found a similar wage for non-live-in domestic workers. These female-dominated industries contribute to a wage gap for women, especially women of color: Research shows that white women make about 77 cents on a white man’s dollar, black women are paid only 65 cents, and Hispanic women take home just over half a comparable white man’s salary. The gap persists even for college-educated black women, who make a median income of $50,000 a year to a white woman’s $56,000. Often absent from conversations about the wage gap is the fact that black women are far more likely than white women to work full time. While white women have entered the economy in greater and greater numbers since the 1920s, they remain likely to have higher-earning husbands or partners, reducing the impact of their lower pay and shorter hours. Black women’s participation in the workforce has remained consistent, meanwhile, and consistently higher than white women’s—in 2014, 57 percent of white women worked as compared to 62 percent of black women—in part because of black men’s lower earning power. Eighty percent of black mothers contribute at least 40 percent of their households’ incomes; fewer than half of white mothers carry that level of financial responsibility. *Correction, June 8, 2017: This post originally misstated that there are no black women in the U.S. Senate. There is a black female senator, Kamala Harris.